What Is Distribution Switch and Why Do We Need It? We know that in data centers a three-layer hierarchical model contains core layer, aggregation/distribution layer and access layer. In this network topology, corresponding network switch is implemented in different network layer. A core switch is a high-capacity backbone switch, which locates in the topside for WAN access and centralizing multiple aggregations in the core. Thus backbone core layer switch is often a fiber switch for advanced optical link. An access switch or an edge switch is for direct end devices and hierarchy connection. But what is distribution switch? What are the functions of distribution layer switch? 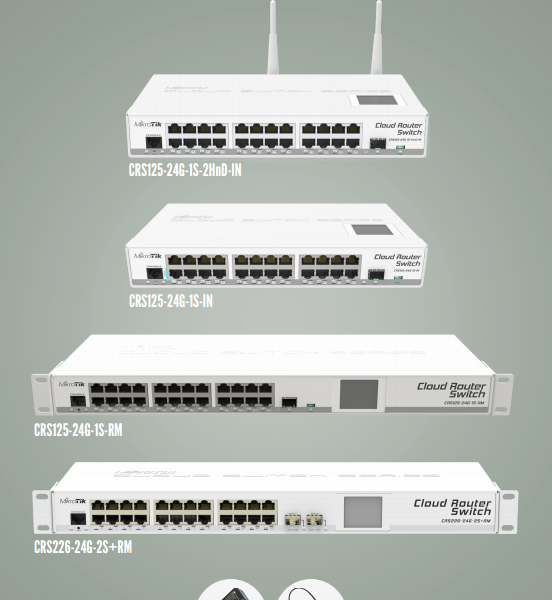 And what’s the difference between aggregation switch vs core switch and distribution switch vs router? This article may help. A distribution switch is a distribution layer switch, which uplinks to upper layer core switch and links down to the access/edge switch. Simply put, an aggregation switch in between functions a bridge between core layer switch and access layer switch. This is also the reason why we call distribution switch as aggregation switch. 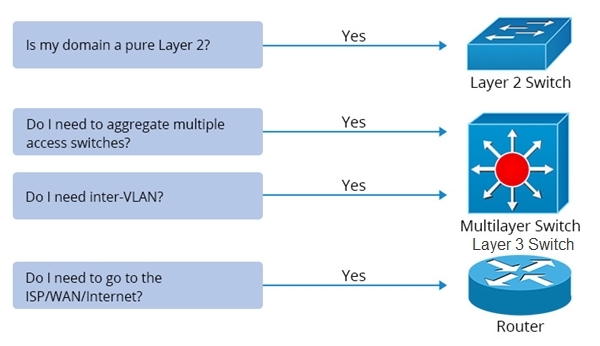 Why distribution layer switch is needed in network layers? In general, aggregation switch reacts on multiple switch aggregation and layer 3 routing functionality. It also supports complex policy implementation such as QoS and packet filtering. Highlights, distribution switch employs Access Control Lists (ACL) to offer optimized security policies. This security capability enables aggregation switch to decide which traffic can be permitted for communication. Here we illustrate the necessities of distribution layer switch into details by comparing it to other switches and routers. Usually we employ gigabit Ethernet switch in access layer 2 to run at 1Gb. When traffic driving from a layer 2 switch, the network topology requires a device with layer 3 features to process it to VLANs. Aggregation switch is often a layer 3 switch, so it supports inter-VLAN routing over a layer 2 switch. When multiple access switches among different VLANs are required to be aggregated, a distribution switch can achieve inter-VLAN communication. 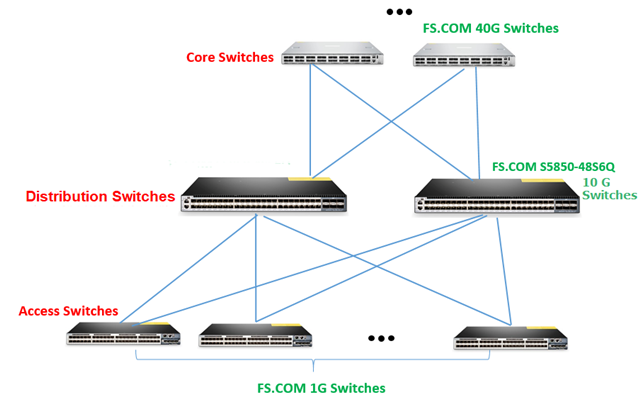 For core switch vs aggregation switch, one question may come in mind: why not directly connecting access switch to the core switch? An important reason is for convenient network access. When there are dozens of clients spreading over different offices in 5 buildings, we can deploy a distribution layer 10GbE switch in the center of each building to connect multiple access layer gigabit Ethernet switches in different offices. Then the 5 distribution switches can easily link to a 40GbE core switch in data centers. There are cases of combining collapsed distribution and core into one when there are only several severs and end users. We also call such switch as collapsed core or collapsed backbone since distribution layer switch is combined. Figure 1: Deploying FS S5800-48S6Q 10GbE switch with 6 40G QSFP+ uplinks as distribution switch in three-layer hierarchical model. Generally, both a router and distribution layer switch has layer 3 routing functionality. But there is some distinctions. Compared to layer 3 switch/multilayer switch, a router has full layer 3 features and intact routing functionality like Internet Service Provider (ISP) and WAN. 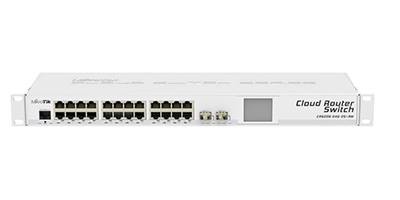 A aggregation switch combines layer 2 switching technology with layer 3 routing technology in one hardware. So a layer 3 distribution switch owns edges over router as switch while possessing inter-VLAN routing functionality. Besides, as a router a layer 3 distribution switch can route packets more quickly than a router due to functionality to make cache entry in its fast memory. Figure 2: Scenarios to deploy layer 3 switch – distribution switch over layer 2 switch and routers. Despite advanced features of policy-based network connection, distribution layer switch functions aggregation and routing. As an aggregation switch, distribution switch connects multiple access switches and centralizes them to core switch. As a layer 3 switch, distribution switch adds routing functionality to achieve fast and easy inter-VLAN routing communication. As thus distribution switch deployment changes the situation that subnet must relay on router to manage network. And solves the issue of low speed and complexity caused by traditional routers.